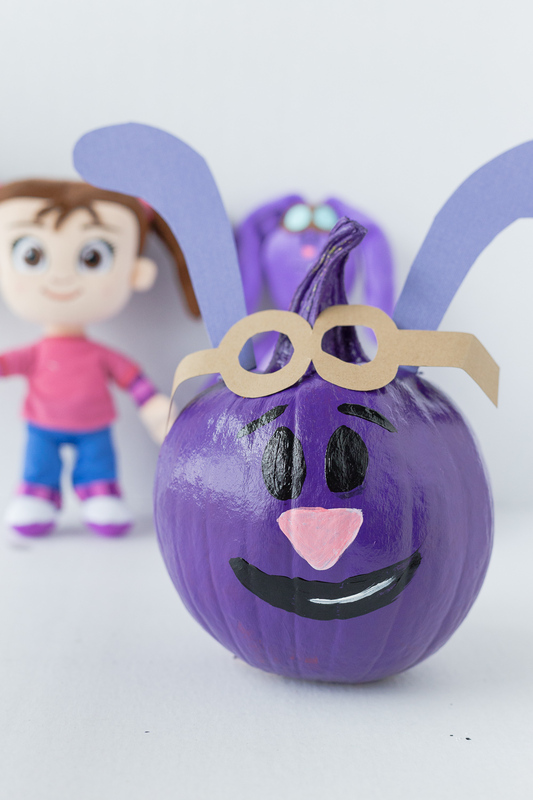 Kate & Mim Mim Pumpkin: a fun painted Mim Mim pumpkin the kids can enjoy! Back in the summer I had the chance to attend a blog conference in New York City. 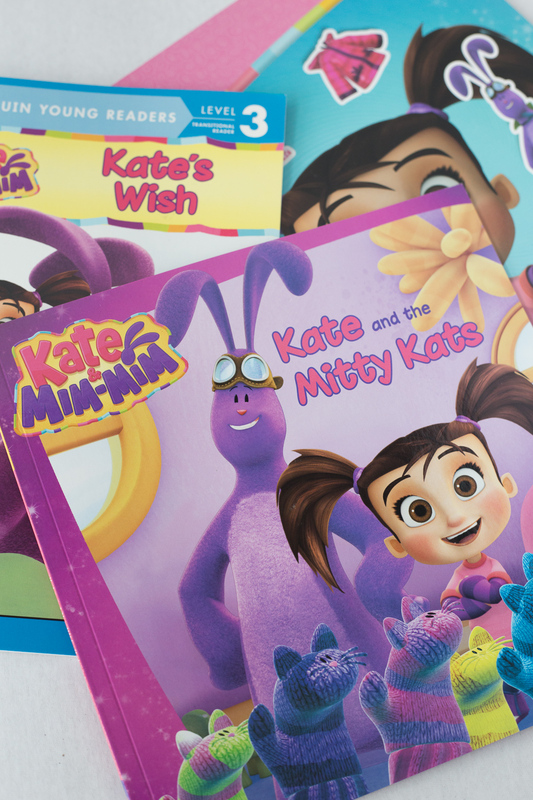 While I was there I was able to hear and meet the creators of the new show Kate & Mim Mim. The show was created by a husband and wife team and was based on their daughter Kate. Their boys also help plan out each and every episode. I had seen the show a few times and I just loved the vibrant colors and lessons the show taught. 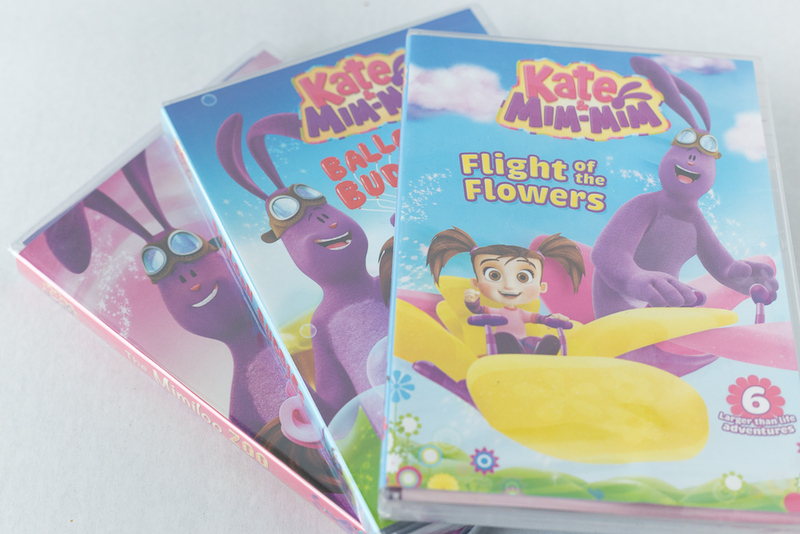 I am now a Kate & Mim Mim ambassador and I am so excited to show you some of their new products and toys! 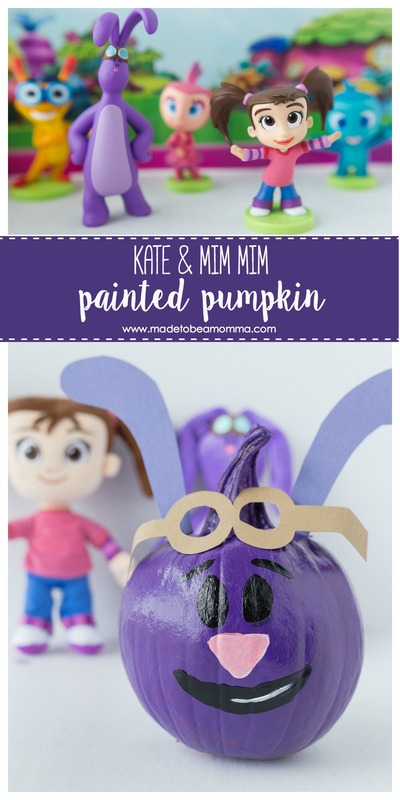 First….I wanted to share with you this fun and festive Kate & Mim Mim pumpkin that any little fan of the show will love! 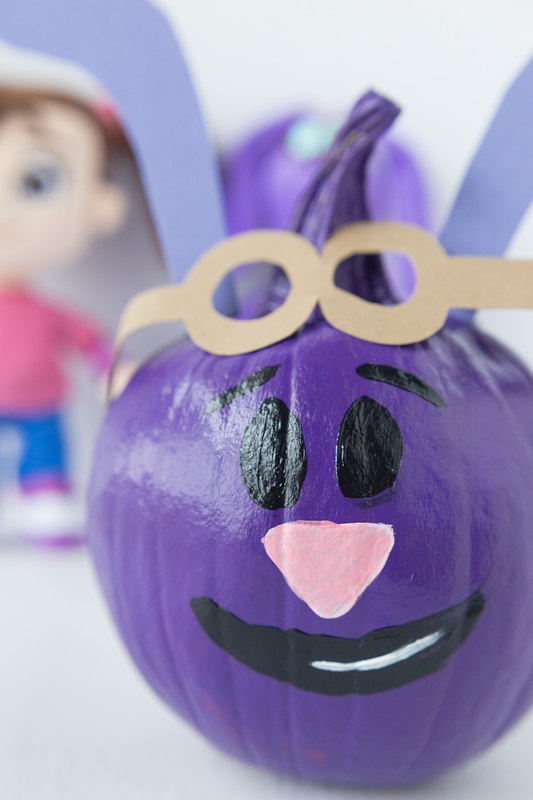 Begin by painting your pumpkin purple. I would personally recommend an artificial pumpkin as the paper and glue will adhere better. Apply two coats if necessary. 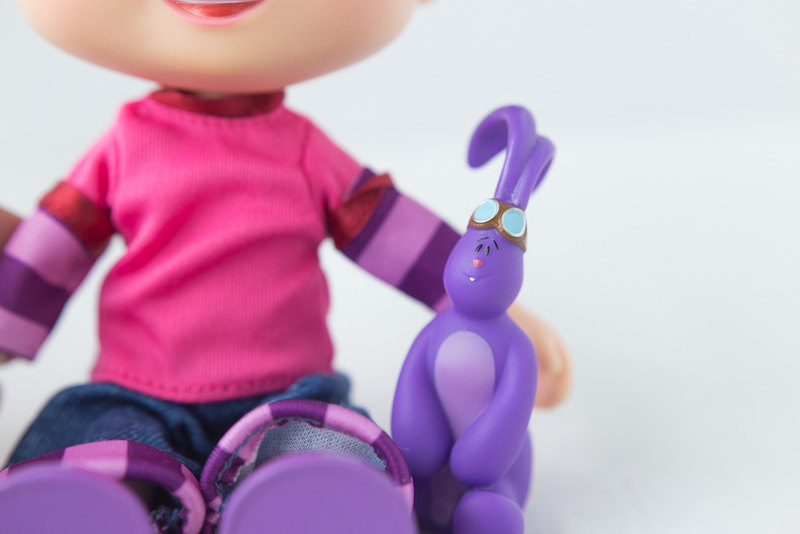 Once the purple paint has dried, paint on the eyes, nose and mouth with the appropriate paint colors. 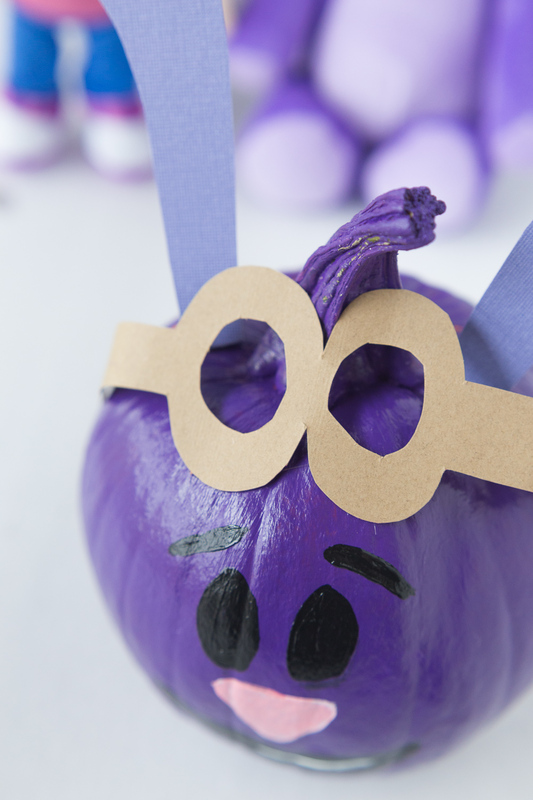 Cut out two long bunny ears out of your purple construction paper and some “goggles” out of the tan construction paper. PARENTS: hot glue ear pieces and goggles in place. 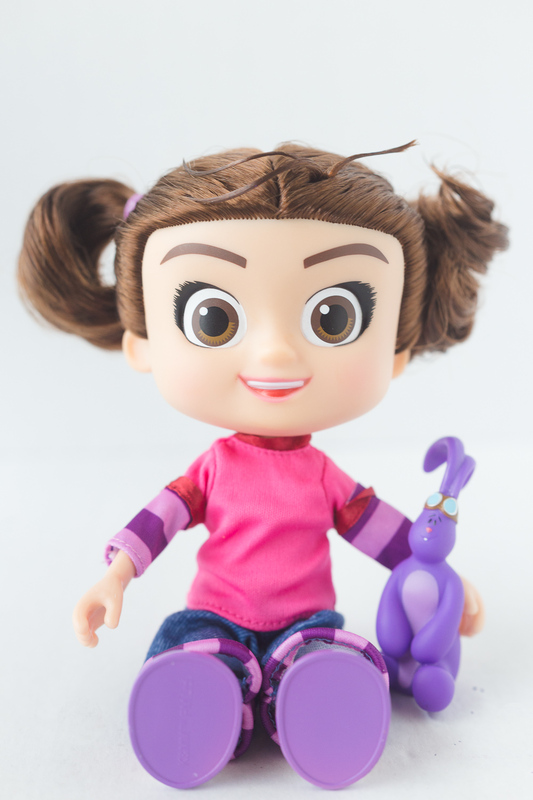 I can’t wait for my daughter to be just a bit older to really enjoy this Adventures With Kate Doll. Right now she just loves the big eyes and smiles every time she sees her. 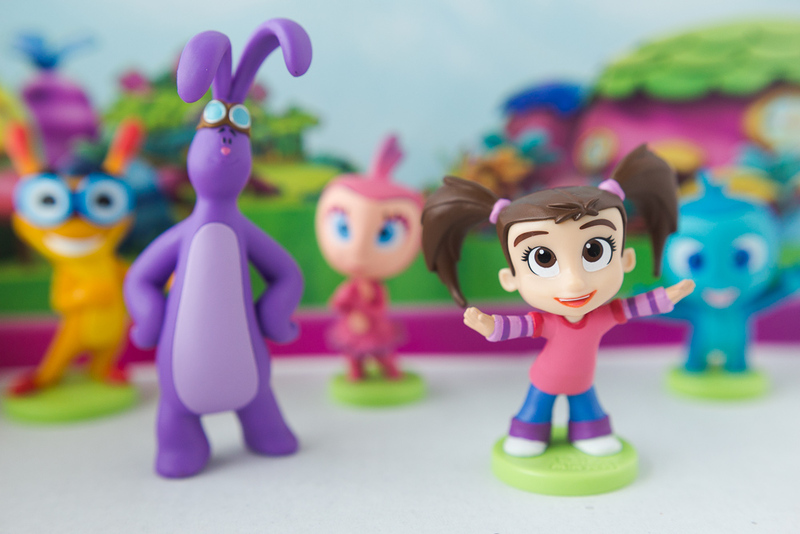 How cute is this little Mim Mim figurine? My boys love little character pieces. 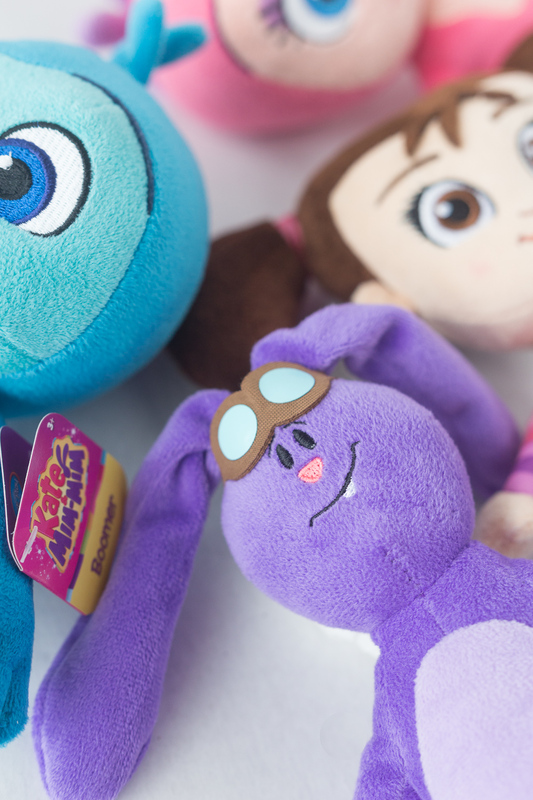 They are such a hit with even the “big” kids. These little Kate & Mim Mim Collectable Figurines would be so cute to place on top of a cake just like our construction candy cake. There are even some fun dvd’s and books that the kids can enjoy! Do your kids enjoy this new colorful show?